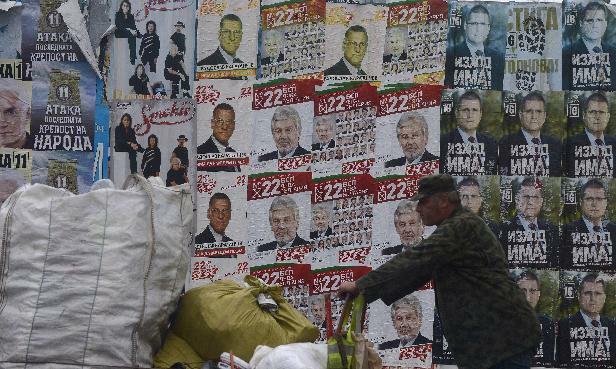 Sofia (AFP) - Bulgarian strongman Boyko Borisov said Sunday he would try to form a government and avoid national "bankruptcy" after his right-wing party came first in elections but fell well short of a majority. 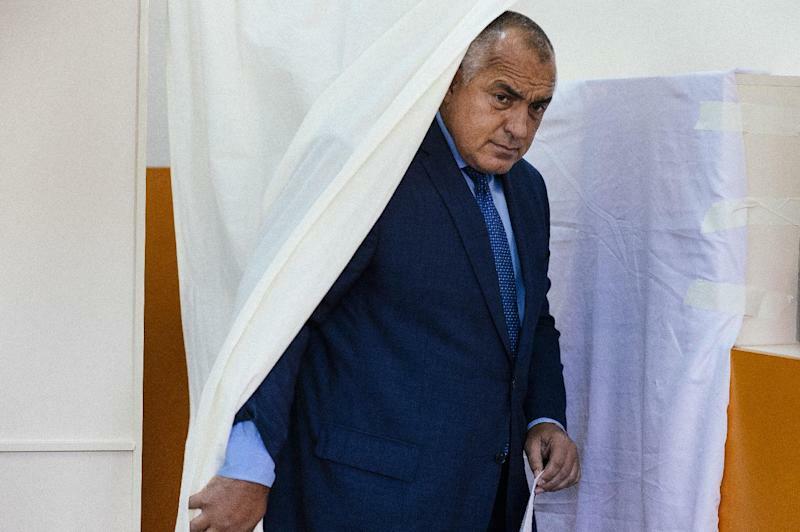 "I want to govern, in person," former bodyguard and karate black belt Borisov told reporters, calling on other party leaders to take time to think "carefully" before ruling out working with him. "I am ready to take all the risks to govern the country. I call on the other party leaders to reflect calmly tonight, to leave it a couple of days and not to make any categorical declarations," he said. The alternative, he added in dramatic fashion, would be "new elections" and "bankruptcy" for the European Union's poorest country. 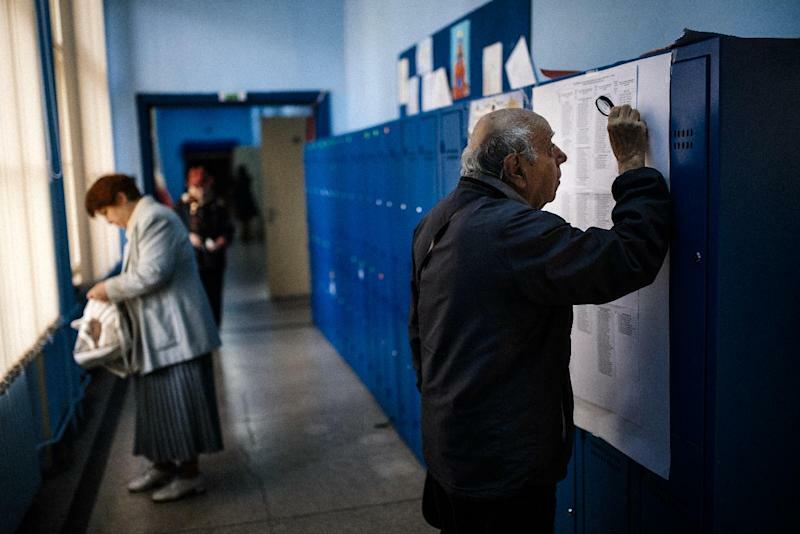 Elections for Bulgaria's third government in less than two years saw Borisov's GERB party come top, but with only around 33 percent of the vote and 82-90 seats in the 240-seat parliament -- well short of the 121 seats needed for an absolute majority, exit polls showed. In second place were the Socialists with around 15 percent and 36-42 seats, followed by the Turkish minority party MRF on 35-39 seats. Both parties backed the previous technocrat government that collapsed in July. Reducing the number of seats for the big parties and making the formation of a government even more difficult, four or so other parties looked to have cleared the four-percent hurdle to enter what will be a highly fragmented parliament. The new government, assuming it can be formed, will have its work cut out putting the country back on track. The average monthly salary in this southeastern European nation of 7.4 million is the equivalent of 400 euros ($500), and seven years after joining the EU every fifth household lives below the poverty line. Economic growth is sluggish and there are major worries about Bulgaria's financial system, with tens of thousands of customers at the fourth-largest bank unable to withdraw funds since June because it is under investigation. Undermining faith in democracy in ex-communist Bulgaria -- and earning it criticism from Brussels -- is the perception that a well-connected clique are still lining their pockets and are above the law. Anger at corruption and poverty erupted in nationwide protests that saw several people die after setting themselves on fire two winters ago. In government was none other than Borisov, who resigned as premier in February 2013. The subsequent technocrat government installed by the Socialists fared little better, and after 14 months of almost constant demonstrations it too threw in the towel in July, paving the way for this latest election. For analyst Vassil Tonchev, head of the Sova-Harris institute, the only solution will be a sort of grand coalition involving both Borisov's party, the Socialists and several others. "There are unpopular decisions that need to be taken. Public opinion will accept a government like this in the hope that it can stabilise the situation. It needs to be formed with a clear programme and for a limited period of time," Tonchev told AFP. "It is the only option. Anything else would lead to chaos." The new government, in addition to boosting the economy and tackling corruption and organised crime, will also have to pull off a delicate balancing act when it comes to Sofia's external relations. On the one hand, Bulgaria needs to maintain its traditionally strong connections to Russia, the source not only of practically all its gas needs but also tourists and investors. But at the same time, it needs to keep in with Brussels, which together with Washington wants Bulgaria to loosen its ties with Moscow because of the Ukraine crisis.